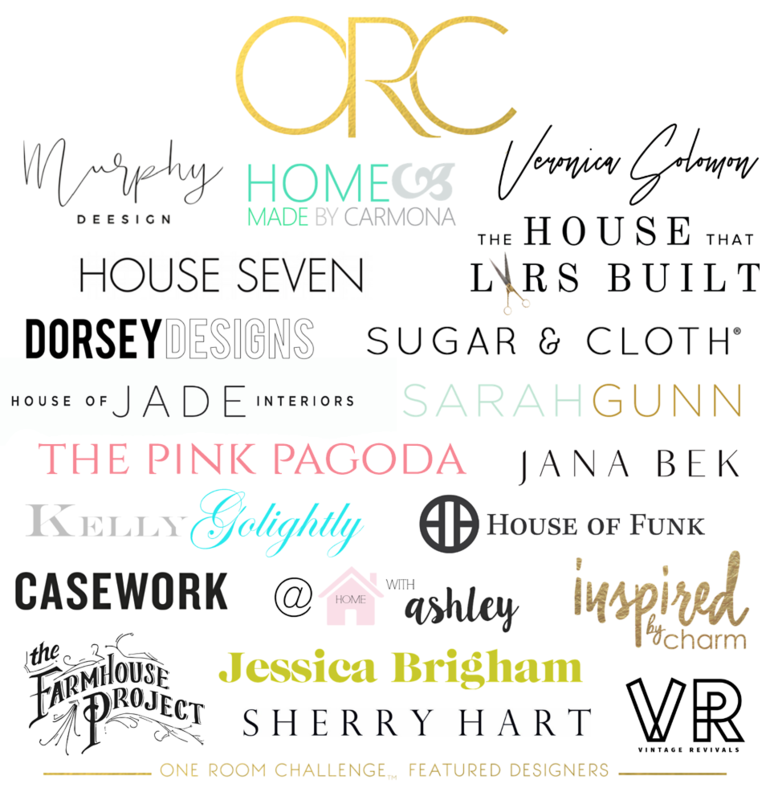 Now that I have everything a little more under control, I want to mention how happy and appreciative I am to be part of this One Room Challenge™ event! My project is a complete renovation of a ranch house bathroom, and you can catch up and learn more about my project here and here. Tile is a significant part of most bathroom remodels, and mine is no exception. There’ll be tile floor, and tile on each wall coming up to around 38 inches. The shower will be completely tiled. I can’t tell you how excited I was to hear that The Tile Shop would be an official sponsor for the event. I’d been before, and knew there’d be so much gorgeous selection. Go to my Instagram stories to see more on this. I’ve been to the location in the Dallas Design District a couple of times, but at the moment, there’s some horrendous construction on the way there and back, so I decided to checkout the Plano location. So glad I did. It’s DFW’s largest location, and I was lucky enough to have the nicest, most helpful lady ask me if I needed help. I needed a lot, and she couldn’t have been better. 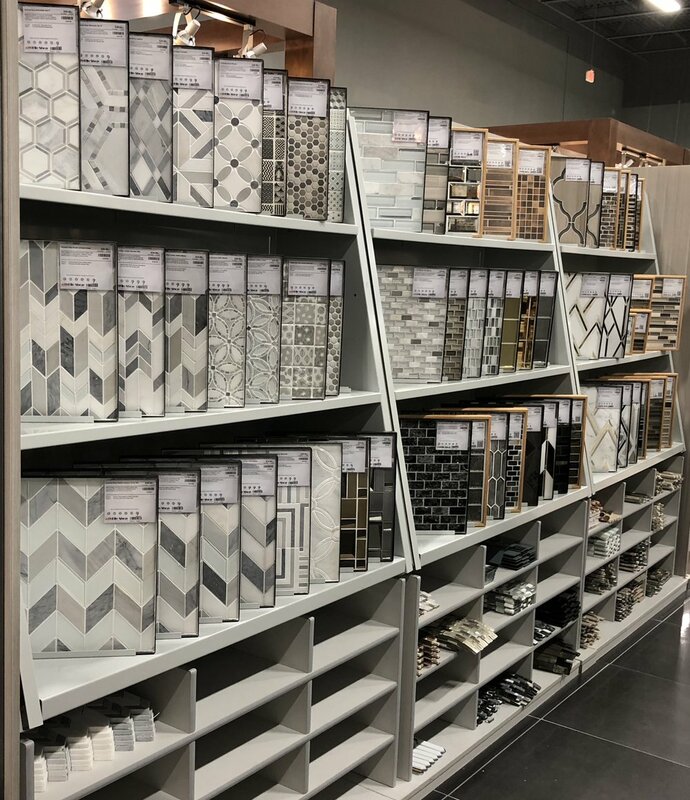 If you’re here in the Dallas area and are in need of tile, I’d highly recommend the Plano location, and definitely ask if Rikki’s in. I kind of love tile, and it can be a little overwhelming when there’s so much I like. However, when I came upon the marble tile shown above and below, I knew I’d found what I needed. It’s the Bianco Puro Collection, and I’ve never seen such bright white marble. Or, marble with such light and consistent veining. Channel the beauty and intrigue of the stunning Greek islands with a clean white marble quarried from their mountains. Dolomite mineral deposits give Bianco Puro its high quality and pure appearance containing very little veining or movement. 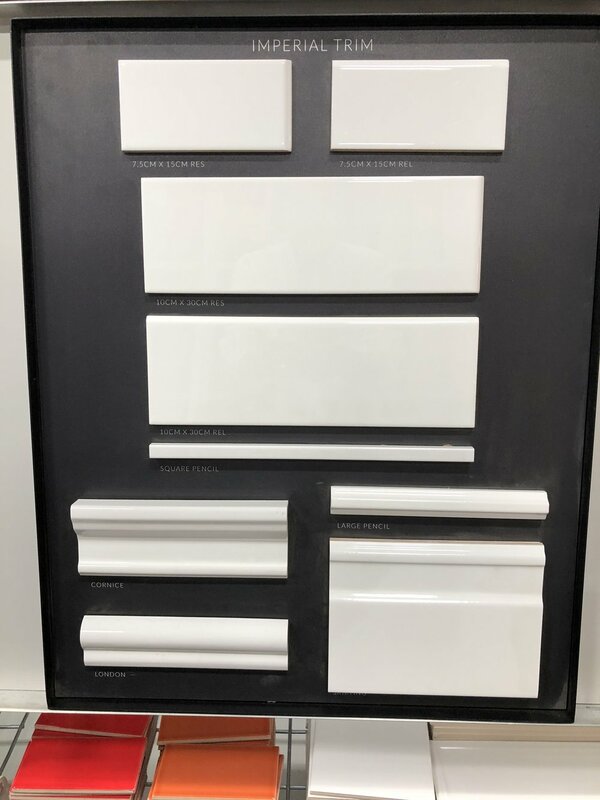 The simplicity and versatility of this full honed tile collection mean it will look sophisticated anywhere from a high-end bathroom to a contemporary living area. Everything in the description sounds wonderful to me, but here are my key words: clean white marble, high quality, simplicity, and sophisticated. Sounds perfect. While I was there, I took some photos around the store. So much there that I love! Next week, I’ll share more about tile and tile patterns, and show you some in-progress pics. Lastly, here’s a design board that’ll give you an idea about where this is going. Some here won’t be used, but here’s what will. This vanity, comes from Overstock (there will be pulls instead of knobs) and will provide the necessary traditional piece the bathroom needs to work with the rest of the house. It arrived yesterday, and is still in its box. Can’t wait to see it in the room! The mirror is from Mirror Image Home, and it couldn’t be more perfect. I agonized over the mirror choice, and I’m so glad I choice this one. I’ll be using these sconces from Hudson Valley Lighting, and the mix of brass and acrylic will be great in here. Last thing is the wallpaper. I designed it for this room, and am partnering with Milton and King. More on the wallpaper soon. And that’s all for the board. The floor and wall tile shown aren’t what I’m using, and neither is the faucet set. Actually I showed you the faucet last week. It’s since arrived, and it’s fantastic. I’m so excited to see this all together. So, that’s it for today. Thanks so much for checking in. Be sure to go see all the other projects! How very happy and terrified I am to be back in the One Room Challenge™! Thank you for coming by to see what I’m doing. My wallpaper makes it debut in Mimosa Lane Blogs’s absolutely gorgeous One Room Challenge™ project.